As Halloween comes to a close here in SC I feel like I’ve gotten caught up on all things scary. I’ve had my fill of scary movies including finally seeing a Halloween movie. 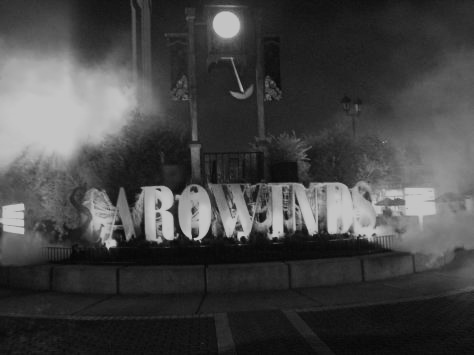 I went to “Scarowinds” last night, a theme park that converts into a full blown Halloween theme park this time of year. We went through 6 of their 11 haunted houses, ranging from children of the corn type corn mazes to 3D scary clown houses. 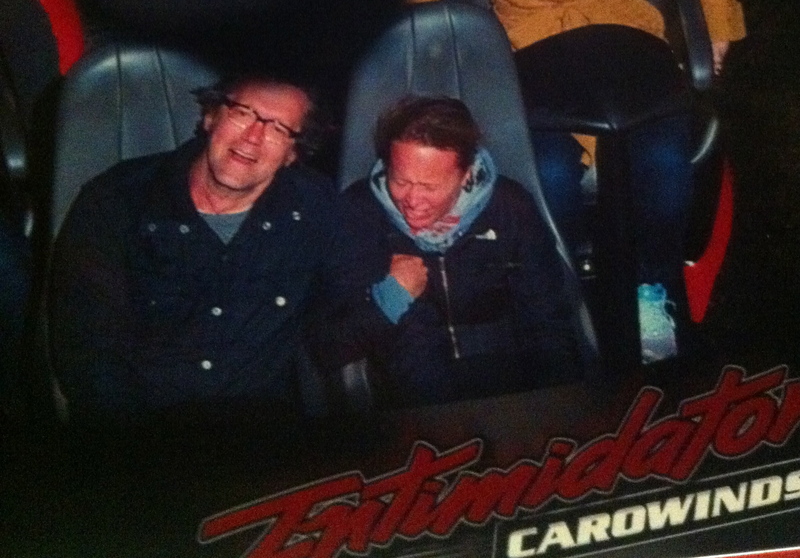 Scarowinds also leaves all of the roller coasters open at night and I braved the “Intimidator”, named after NASCAR legend Dale Earnhardt. I am both afraid of heights and afraid of the dark, so this was a big one for me. The first climb is close to 300 feet with a 70 degree drop that tops out at 80mph. At one point because of the negative g-force you feel like you’re floating. I was screaming too loud to notice. I only opened my eyes twice the hole time as I cut off the circulation in my husband’s arm. You’re only held in by a lap bar so by the end my abs were killing me because I was holding on so tight. That ride would make for a good daily workout. Nowadays I try to avoid anything scary but this week was a fun reminder of how good it can feel to get the adrenaline going. You are currently reading Scarowinds at 52 To Do.